#ad: This is a compensated campaign in collaboration with Unilever and Latina Bloggers Connect. Butterflies 'Holidays Madness' has begun and you know what that means right? Thanksgiving, Christmas and New Years Eve! Family, friends and if you have them 'In-Law's' visiting (this butterfly is blissfully single and thankfully does NOT have to worry about In-Laws!). There is a lot of preparation that goes into the holiday season, getting your home ready, preparing elaborate meals, and of course power shopping - where are you trying to get the most for your money without breaking the bank! What can easily get neglected in this scenario of trimming trees, getting the house 'visitor ready' and shopping for gifts for everyone else is your skincare routine. But this is also the season of Holiday Parties both personal and the office party, decking the halls and it all culminates with the end of year bash of all bashes, New Years Eve. You definitely want to feel Red Carpet Ready on New Years Eve. There is actually sense in the superstition of getting dressed up each year on New Year's Eve, the way you greet the New Year tends to set the tone for the year itself. How do you want 2014 to find YOU this year? I can tell you this year is not finding me in 'Shlumpadinka' mode, and I have a strong feeling you feel the exact same way! You can wear a million dollar ballgown and if your hair looks like a rats nest and your face looks puffy and tired you are NOT going to feel your best. You do not have to spend a million to look and feel like a million! There are Drugstore Brands that are staples in most homes for a reason, and as a Beauty Blogger I try a ton of products and use them as a gauge for what type of stuff works best for me, but best believe when it comes time to buy I'm looking for the same results for less just like everyone else! Ponds and TRESemme are certainly not new to me, but the particular products I was sent are! The women in my family have amazing skin and the first thing they taught me was that an ounce of prevention when it comes to skincare is worth a pound of cure. They taught me to keep my skin hydrated, and even in my teen years when acne was definitely a factor they still made sure I didn't let my skin get stripped or dried out by acne care products and I am super thankful for that now. I have always washed off all makeup every night, but recently I have been trying to incorporate night creams into my routine, I am trying out the Pond's Rejuveness Anti-Wrinkle Cream with AHAs and Collagen, while they recommend using it twice per day, I prefer to use this one as a night cream. With demands on my time being increasingly crazy and my days getting longer and longer I do find using a night cream consistently is showing great results with my skin. And I have had people asking me what I'm doing lately so I'm counting on you to keep it top secret! Because of the AHAs I do suggest you follow the packaging instructions and use Rejuveness approximately 15 minutes after cleansing your face to avoid a 'tingling' sensation. I am new to the Keratin craze so I haven't tested enough products to give you guys a definitive on which one for me is 'the one' but I am enjoying TRESemme Keratin Infusing Smoothing Serum. TRESemme is one of my oldest preferred Drugstore Favorites and I'm glad I was able to try this out as I flat iron often and my hair does need the extra protection as my ends get fried pretty quickly from the double combo of blow drying and flat iron. 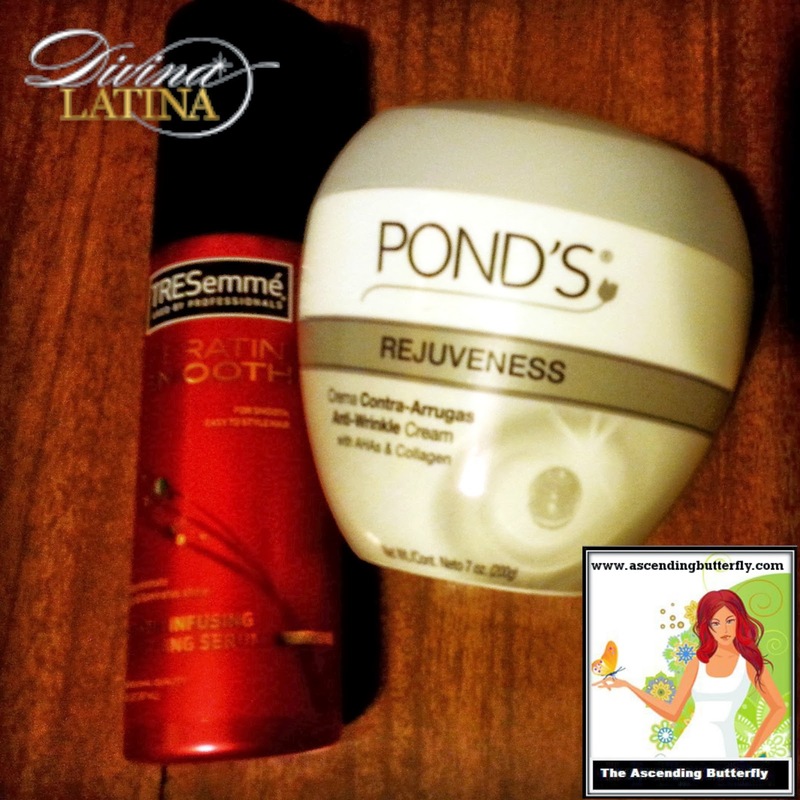 So what do "Divina Latina" products have to do with YOU? Ƹ̵̡Ӝ̵̨̄Ʒ - Be Red Carpet Ready Every Day with Divina Latina Products that are available at CVS/pharmacy and are eligible for ExtraBucks Rewards! Ƹ̵̡Ӝ̵̨̄Ʒ - "Like" the Divina Latina Facebook Page to keep track of current promotions! You know I always say Beauty starts from within, and at this time of year the chaos can easily make you lose track of both. So butterflies get in your daily meditation time and don't lose track of your skincare routine in all the holiday insanity. You want to prepare to start this upcoming year with good routines already in place to be the best you that you possibly can be! And with a little help from CVS and the Divina Latina Collection of Unilever Products you can take good care of the outside and be your most beautiful and radiant holiday self! Which Unilever Brand is YOUR personal favorite Butterfly? FTC Disclosure: This is a compensated campaign brought to you by Unilever, Divina Latina, CVS and Latina Bloggers Connect. All opinions are 100% my own. I am disclosing this in accordance with the Federal Trade Commission 16 CFR, Part 255 - Guides Concerning the use of endorsements and testimonials in advertising, you may visit our full giveaway and disclosure page for complete policy information. Pond's face cream has always been a staple in my mom's house, and now not only do I use it my daughther is also a convert. 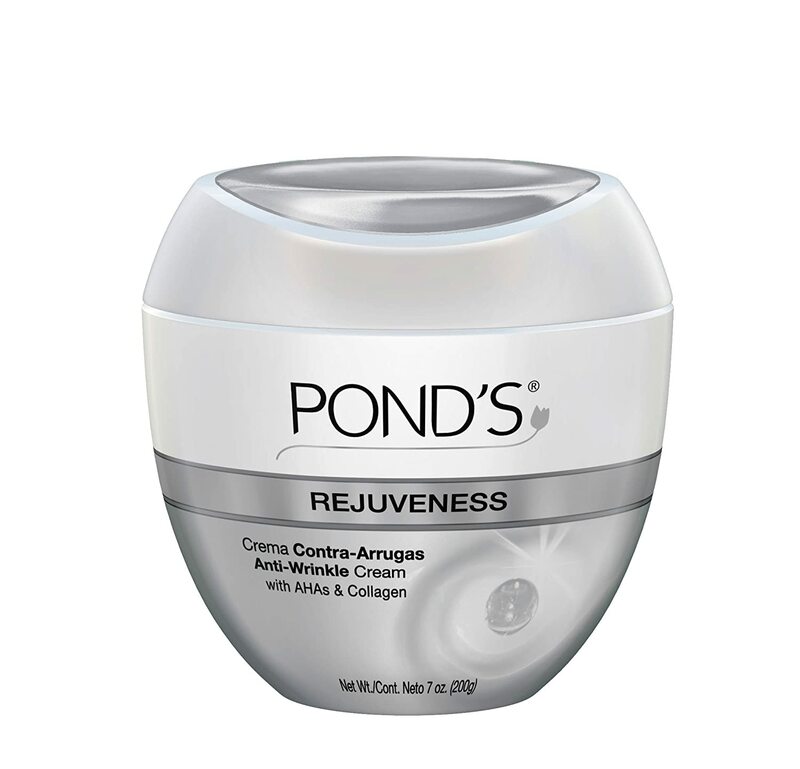 so I wouldn't hesitate using Pond's Rejuveness Anti-Wrinkle Cream . I also love carress bodywashes .